MicroPES® and DuraPES® membranes are high performance, asymmetric membranes. These membranes, which show excellent retention characteristics and high throughput, are used in many microfiltration applications in the pharmaceutical, biotechnology, food & beverage, microelectronics and chemical industries. MicroPES® and DuraPES® membranes are high performance, asymmetric membranes that show excellent retention characteristics and high throughput. These membranes are used in many microfiltration applications in the pharmaceutical, biotechnology, food & beverage, microelectronics and chemical industries. MicroPES® is manufactured as a flat sheet and capillary configuration. Our MicroPES® flat sheet membrane is made from a partially sulfonated polyethersulfone polymer. 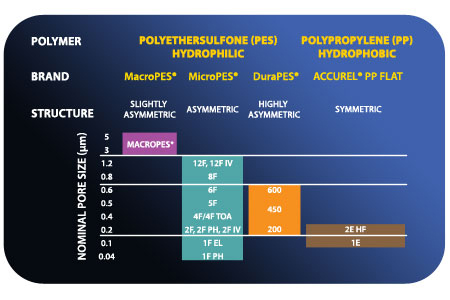 MicroPES® flat sheet membrane is hydrophilic and available in a wide range of pore sizes from 0.04 to 1.2 µm to meet applications requirements. MicroPES® capillary membranes are also hydrophilic in nature. The pore structure offers high filtration selectivity characteristics coupled with high fluxes with minimized flux barriers. DuraPES® is a highly durable asymmetric polyethersulfone membrane with exceptional TMF, excellent throughput and high dirt load capacity. The membrane is commonly used in pharmaceutical, biotechnology and food & beverage industries. DuraPES® membranes are manufactured with a modified MicroPES® manufacturing process where a very pronounced anisotropic cross-section pore structure is created. 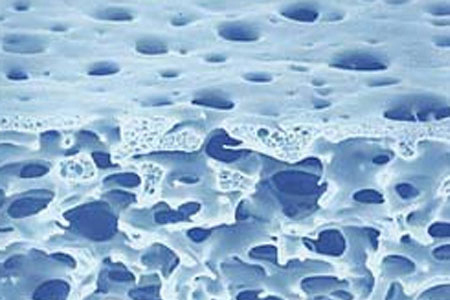 This innovative pore structure has significantly improved performance and durability of the membrane particularly in high load applications. This membrane utilizes unique polymer blend of sulfonated and unsulfonated PES that allows it to remain permanently hydrophilic. DuraPES® has a large pore diameter, allowing for a high flux rate with a very low fouling tendency.